During my study for the VCIX-NV exam I was writing a post on using the REST API client in Google Chrome when I hit an issue connecting to my NSX Manager via the API call. The error message that I received was below. 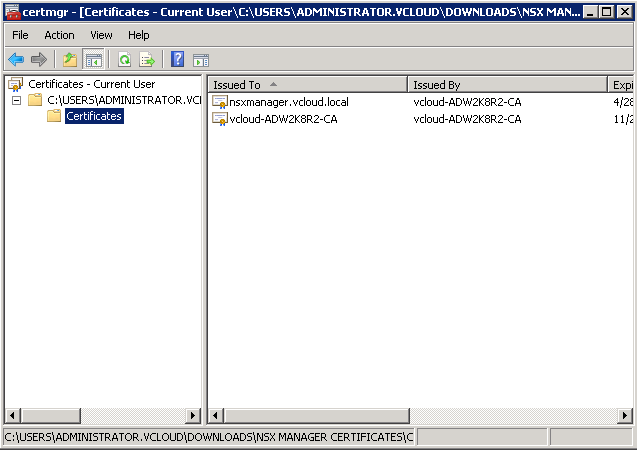 This seems to be like an error connecting to https://nsxmanager.vcloud.local/api/2.0/services/ssoconfig. The response status was 0. Check out the W3C XMLHttpRequest Level 2 spec for more details about when this happens. 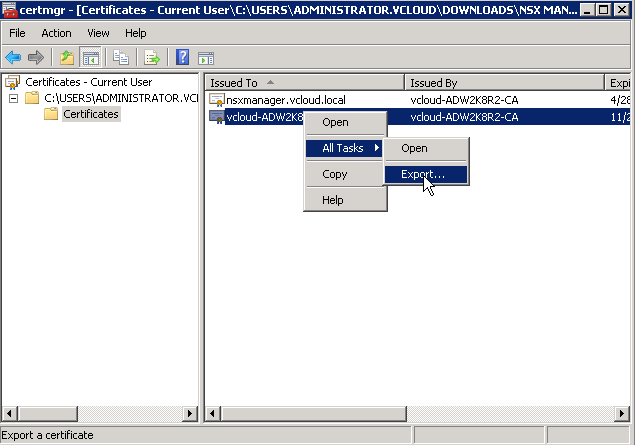 To resolve this I had to implement a new CA signed certificate on the NSX Appliance so I thought I would document the process for anyone that was experiencing similar issues, or just wanted to replace their NSX Mamanger Certificate with a CA certificate. Step 1. 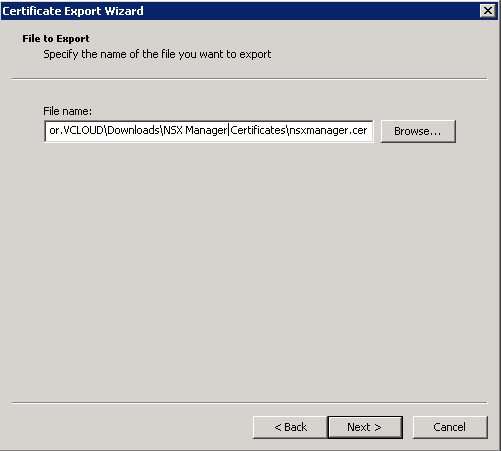 Log into the NSX Manager Web interface and navigate to Manage -> SSL Certificates and select Generate CSR Fill out the appropriate information as shown below. Step 12. 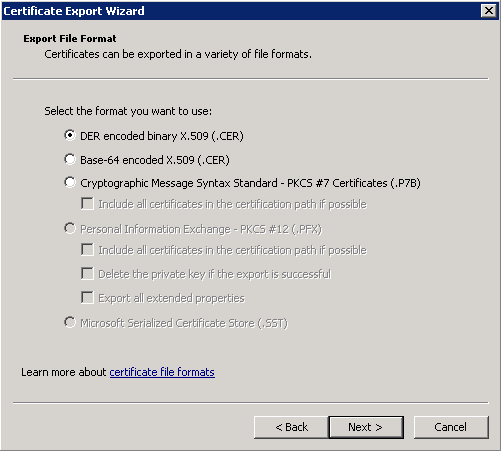 Follow the same steps above to export your root certificate (I named mine root.cer). Step 13. You should now have an nsxmanager.cer and a root.cer. You will need to combine these two files to a file called chain.cer. You can do that by opening a command prompt, navigating to the directory, and running the following command. Step 14. 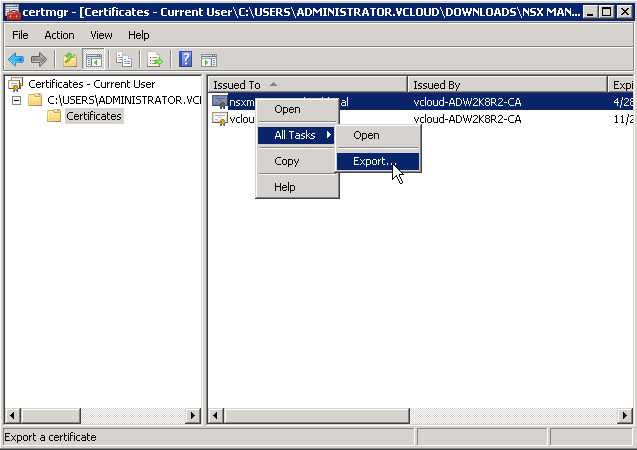 Once you have the chain.cer log back into the NSX Manager Web Interface and select Import and provide your chain.cer file. 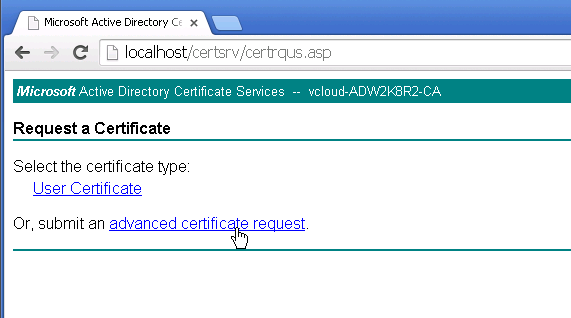 You should now see your new certificate and root certificate as show below. Step 15. 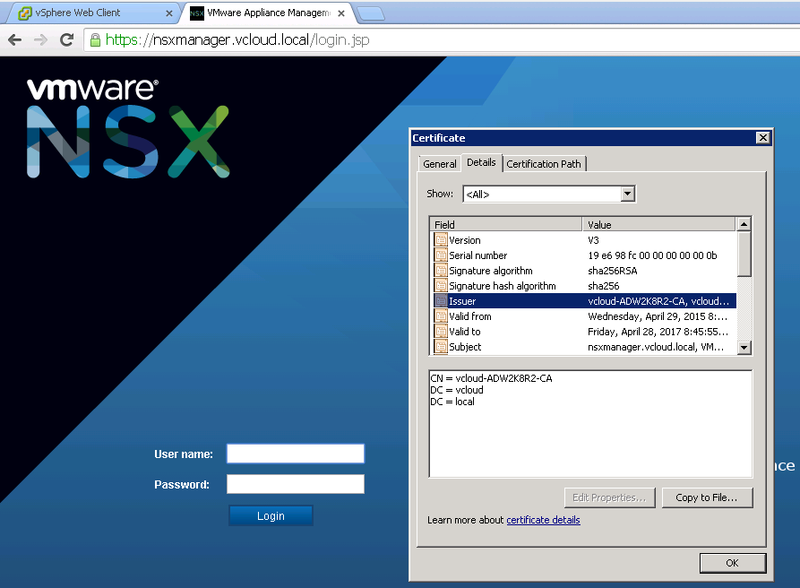 In order for my certificate to show up properly, I had to reboot NSX Manager. Once that was complete, I could see the trusted certificate. Phew! Now I can get back to NSX REST API calls and studying for my VCIX-NV exam next week. If you haven’t already been following the progress, I have a lot of good information up for studying here. Let me know if you have any questions or run into any problems that I may be able to help you out with during your NSX Manager certificate replacement! 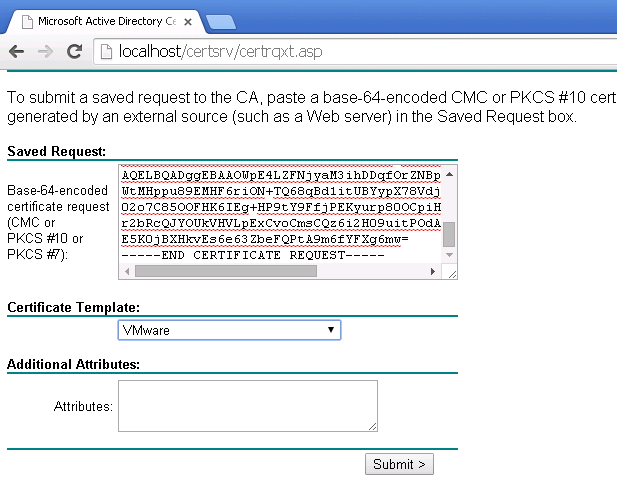 1: What are the details of the certificate template ‘VMWare’ you used on your certsrv? 2: Can the intermediary authority on my external PSC be used instead?